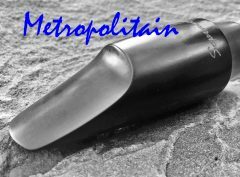 The mouthpiece is made from a fine French ebonite and the main feature of the mouthpiece is the almost straight sides to the throat. 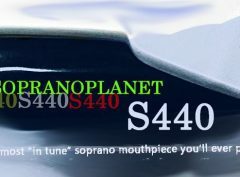 This is similar to what you might see from a Selmer S80 mouthpiece but that would be the only similarity. The throat is not quite square. 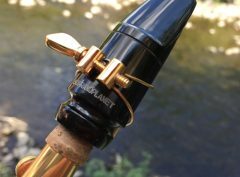 This configuration provides a fast and powerful column of air and it also generates a substantial and deep core sound, making the bottom half of the horn play with as much substance and tone as the rest of the horn. 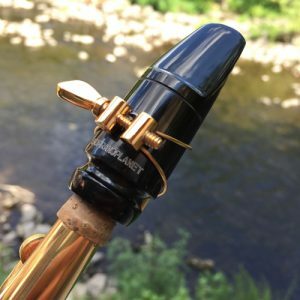 With a lighter reed, it can provide a lot of intensity. 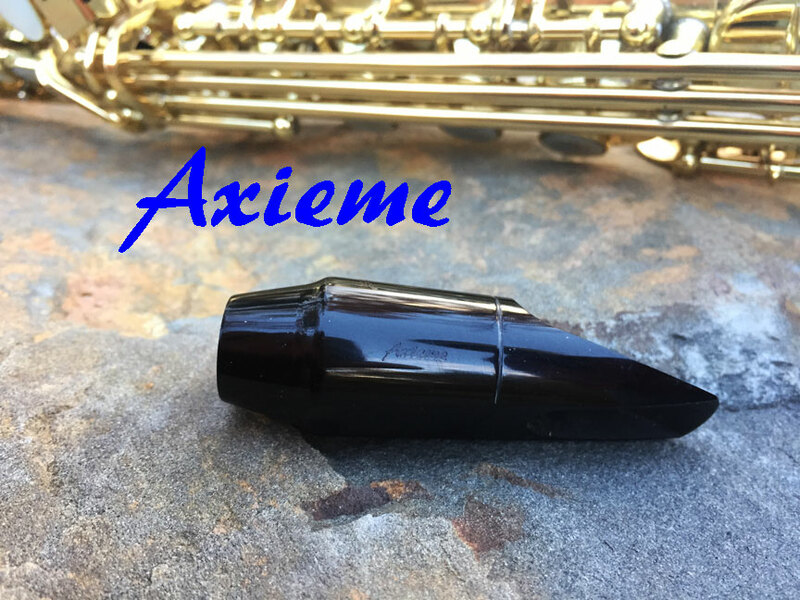 With a firmer reed, the AXIEME opens up with more sublety than you’ll ever get from a straight “square chambered” piece. 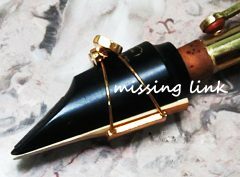 I made the prototype of this piece for my King saxello, because I wanted a cutting, hard edged sound without all the brightness and thin tone of other square-throated mouthpieces. 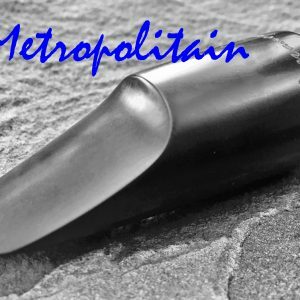 The baffle is small and gradual, and produces all the edge you could want. 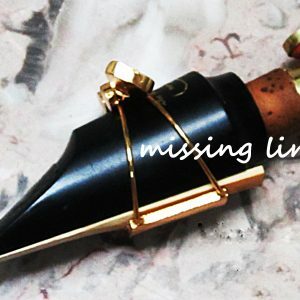 The altissimo is big and jumps off the horn. In some ways, it operates near the realm of a good Dukoff-full, deep and edge when pushed. 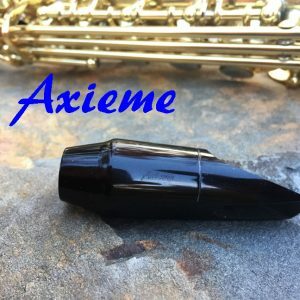 Notice: I am no longer able to get this high quality ebonite in France, and so the Axieme will be discontinued when the current stock is sold. I am just so pleased with how the three pieces you have done for me are working. Just amazing. From now on, when I use the expression “OMG” I will be referring to you! Joe!!!!! You are a true legend. 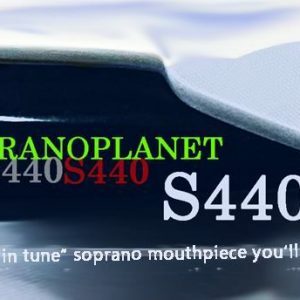 110% love the OS.It really is a great piece Joe. You are a master. so glad to have this to play. happy happy happy!!! thanks again, thanks again, thanks again, mate!! !